Bundaberg/Fraser Coast/Gladstone Solar have been servicing the Wide Bay/Burnett/Capricornia area since 2009. We only use tier 1 panels and focus on high quality inverters. Our solar equipment and installation is backed by our own qualified CEC accredited electricians (no sub-contractors). We service what we sell. The workers were very helpful did the work quickly and cleaned up. Both Bundaberg Solar and Solarhart - who we got to quote - were approved supplier for Qld govt loan. This is why we contacted them. Solarhart had their own finance which they promoted and did not go into Qld govt loan options. Bundaberg solar only had Qld govt loan. both no interest but 4 years @ 250ish per quarter Solarhart vs 53 month for 84 months Qld govt. Bundaberg Solar also $1000 less. system panel and inverters similar standard. Went with Fronius and SunPower. Geoff has been amazing to deal with from the initial quote right through to installation. He took the time to make sure we got the right system for our family and took the time to explain the process and how we could best utilise the system to save money. His installation team were a pleasure to have at our home, polite, on time and also took the time to explain the unit. They are also one of the only tradesman we have had at our home this year who cleaned up after themselves. I will be recommending AC Electrical to all of my clients, family and friends. Geoff was good and informative and the tradesmen were very good and efficient and went about there job in a good manner, however I thought when they left and the installation was finalised I thought we would be sending back to the grid straight away but NO we have to wait for ergon to do their stuff and boy what a wait that is(very disappointing) as were not told we had to wait that long ( 3 weeks so far) So the 3 weeks we have been waiting, where is the solar power going??? I wonder ??? ergon maybe gaining the benefits??? and not passing on to customers. If we had known this we may have taken a different option. Our solar was installed on 2/11/18 and we are still waiting for Ergon to complete the installation - so I can't say whether our solar is working efficiently or not. I was offered a quality product at a competitive price by knowledgeable salesman who was not afraid to discuss the benefits of other offerings. Not at any stage during his presentation and later during our conversation did he deride the competitive products...a big plus in this day and age of cut throat selling. The system has only been installed for 24 hrs so I can't really comment about the system functionality yet.. The installation was done in a different configuration to what was stated on the original quote. This was done without consulting me. I only found out when i asked the installers how things were going. Later when I saw how the roof panels were being located I expressed a concern about the possibility was rain water sliding past the rain gutter onto the ground. I stated that I have trouble with the yard becoming waterlogged and water entering the small shed in the yard. The installers were dismissive of this. After some more questions they said that they would put the panels as far up the roof as possible. These installers then left and the panels were put in place by another team the following day. I thought that they were still to close to the rain water gutter. Before they left we did test the rain water run off with a hose and it did not seem to be to bad. Since then we have had heavy rain and there has been water in the small shed. It is impossible to say if the configuration of the roof panels made any contribution to this, but I would still have been happier if they had been put in as per the original quote. I also believe that I should have been consulted before the change was made not afterwards and more consideration should have been given to my concerns. I found all 3 recommendations excellent in their response and follow up. One had the micro inverter system which I was very keen on but felt the extra cost was outside our budget. 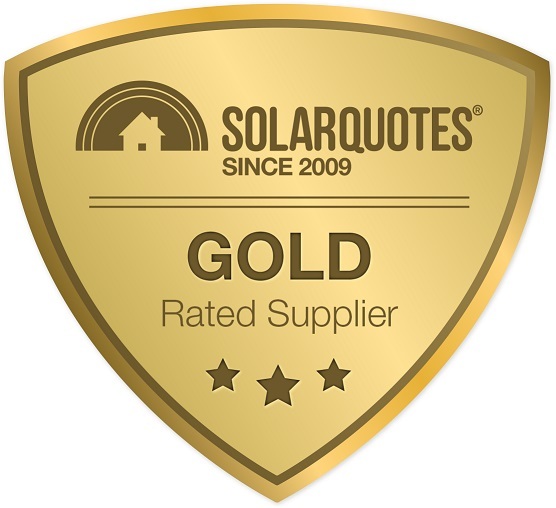 Another and AC Electrical were very close in their quality of panels and inverter and even though AC Electrical were marginally dearer in their quote, their salesperson came out to our home to quote whereas Solargain quoted by phone and internet. Also AC were local at Bundaberg which could mean a lot if ever service is required. Thankyou Finn for your great website. Bundaberg Solar were very professional and helpful while evaluating my premises, helping me along with all the technical stuff, explaining how it all works. Although they weren't the cheapest quote, the way the process went was the most professional. The installation went smoothly and was finished when they said it would be. The installers were professional, neat with their work and cleaned up after they were done. Geoff was very easy to deal with. He explained everything in detail and gave me a fair quote for what I wanted done. When I showed him a cheaper quote for pretty much the same system, he got back to me. Although he didn't quite match the quote, his willingness to go to the trouble to try and match it and give me a great system was pretty much the decider on who I went with, that and his company was local. The men who came out and did the installation did a terrific job, and had it done in the time frame they said. So far it's working well and I am glad I went with them. We were working to a tight deadline and the company fitted our job in as promisied , the installers were on time and very professional in their work and attitude to the job.The installation was first class and their workmanship second to none. The team turned up on time, were professional looking and clean. They completed the work and tidied up the areas they worked in.